Gov. Abbott is just beginning a fight to stop the San Francisco liberals, led by Nancy Pelosi and financed by George Soros to come to Texas to influence the politics. At Bankers Surety we say, “You’re a little late Governor”! Accountability should still count. There used to be consequences for actions, but under the new bail schedule in Harris County, commit a crime – walk away. Commit another crime – keep on walking. Pretty far from “Remember the Alamo!” style of accountability. 180 years ago this was the battle cry for a struggling rebellion to end the tyranny of an unrelenting dictator. The Alamo was about holding someone accountable for the slaughter of 248 Texans and two Kentuckians. And a month and half later, Sam Houston did just that. We remember a time when we would say, “If you can’t do the time, don’t do the crime”, but now the new mantra is something like, “Take what you find, Houstonians won’t mind”, or “You get arrested for an epic fail; just walk on out – no need for bail.” We like the original better, we should continue to hold people to a certain standard. Sam Houston famously said, “Texas has yet to learn submission to any oppression, come from what source it may.” Texas doesn’t sink from a fight and neither does Bankers Surety. We have become the largest surety company in the US by fighting for our agents, protecting our core values and not submitting to failure when many others would have. Our commitment to our agents and to the bail industry is not wavering. 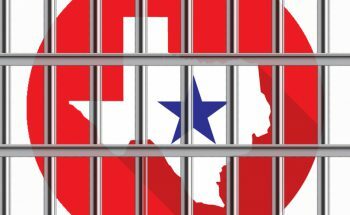 Bankers continues to put resources and our people, two dedicated Texans and an army of bail enthusiasts, into this battle. We have been in the bail industry and have provided surety security to our agent partners since 1976, and we aren’t going anywhere. Keep your business secure by partnering with Bankers Surety, the number one surety provider in the industry.